How would you like to go to a private liberal arts college that will give you a full-ride tuition scholarship for four years? Sounds crazy? Actually, I'm serious. Antioch College in Yellow Spring, Ohio, is waiving the tuition for all its students, who enroll in the next three years. How much are these freebies worth? The value of the free tuition for the current year is $26,500. The scholarship, based on that price, makes each scholarship worth at least $106,000. Some students, who file financial aid applications, will capture an even greater price break. If they qualify, they may get to skip the room and board charges or pay a reduced price. Antioch's room and board is currently $8,628. Obviously, it's unheard of for a college to offer free tuition to its all students. There is, however, an explanation for the generosity. Antioch is crawling out of the grave. 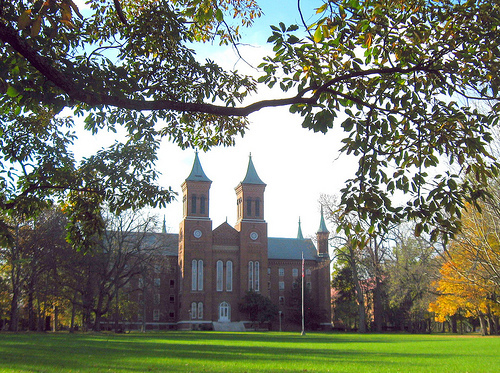 Antioch College, which was originally founded by abolitionists in 1850, shut its door in 2008 after years of decline. Terrible management decisions, among other reasons, led to the closure, but tremendous financial support from dedicated alumni, who were appalled at the closure, led to its rebirth. Antioch welcomed 35 students into its inaugural freshmen class in 2011 and it hopes to welcome another 65 to 75 students in the fall. The school's goal is to have about 300 students attending the school by 2015. "We are a 160-year-old start-up institution with a lot of history," says Cezar Mesquita, Antioch's dean of admission and financial aid. The college wants to make an investment in hard-working, engaged students, "who can help restart this great institution." Antioch had always been known for its work cooperative program and that tradition has returned. All students will have numerous work opportunities during their four years that include, local, national and international experiences. At this point, the school offers 12 areas of concentration ranging from environmental and health sciences to languages and social sciences. The inaugural class, which hailed from states throughout the country, had an average unweighted high school GPA of 3.56 and an average ACT score of 27, which is roughly the equivalent of a 1250 on the SAT. If you're a high school senior, there is still time to apply! Antioch's admission deadline is Feb. 15. NOTE: This post on Antioch College generated so much interest that it crashed the school's server on Friday. If you can't reach the website, try the school's Facebook page. Antioch College image courtesy of Flickr user elycefeliz.